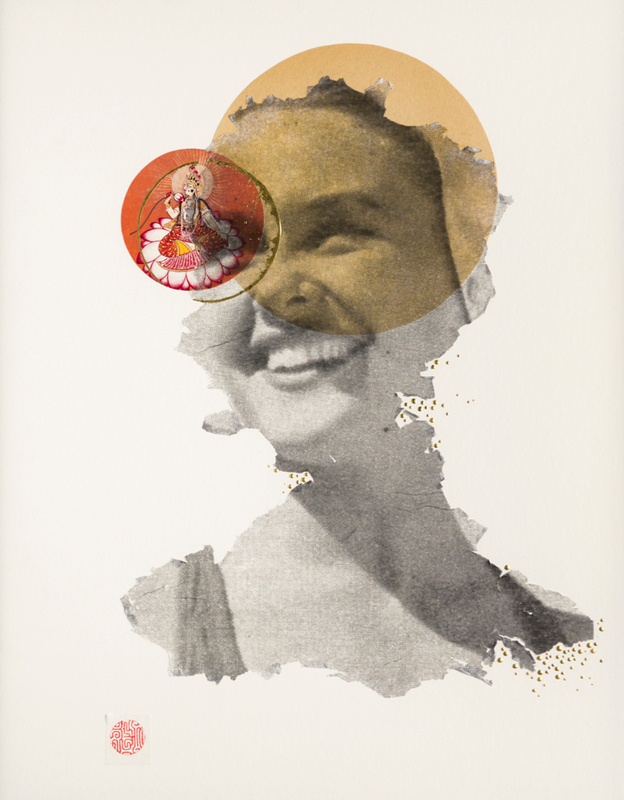 A directory of contemporary artists working in the medium of collage. A coin flip offers a quick, absolute, but equitable means for settling disputes. It’s been this way since Ancient Rome. Some say a favourable outcome is a sign of divine intervention. In American football, a correct call of “heads” or “tails” provides dual benefits–the winner receives the ball and the loser gains the wind at their backs. But coin faces aren’t always important. Tossing any coin into a well comes with a wish. No matter the circumstance, the allure of a coin flip is how quickly it amplifies hope and ultimately changes fortunes. It is this transformative promise that inspires my latest project, “Two Sides of the Same Coin”. 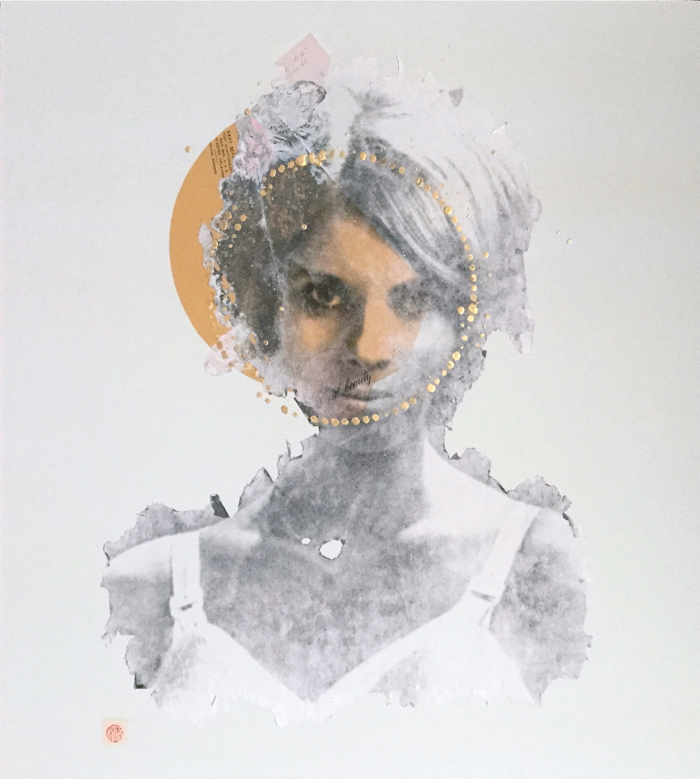 My layered portraits expose the complexities of feminine identity. They challenge conventional attitudes that suppress access and diminish stature. I rescue commercial clippings from a range of vintage catalogs and embolden them with elements of Eastern iconography, Zen calligraphy, and gold leafing. My women become gods. A mere glance from these deities burns away the hazy veil of objectification–too powerful to be obscured. The familiar gives way to the sacred. Depth and motivations are revealed. While a coin may initially seem worn or common, look closer! 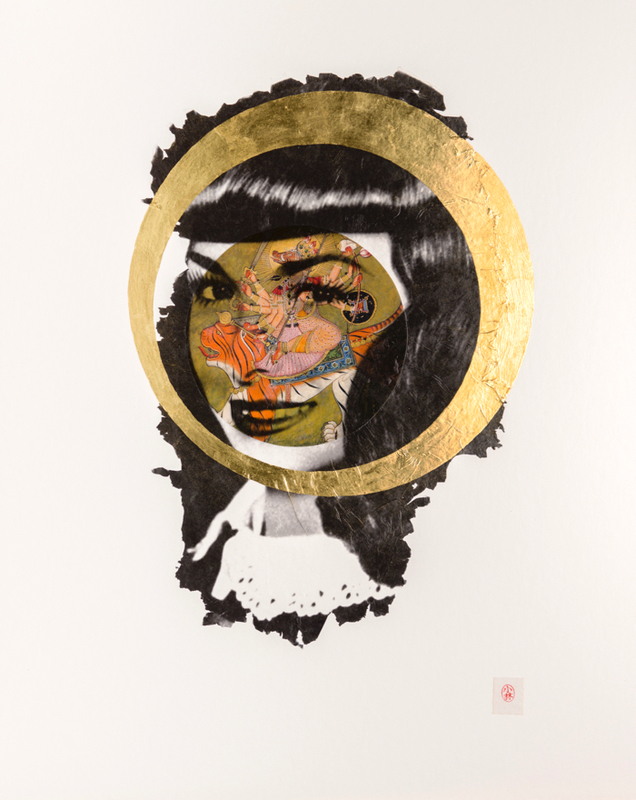 Blythe King is a rising talent who currently breaks new ground in photography, collage, and the ancient art of gold leafing. Born in Pittsburgh in 1977, her work is heavily influenced by two legacies–the whimsical, social commentary of hometown hero Andy Warhol forged with traditional Steel Town resolve. 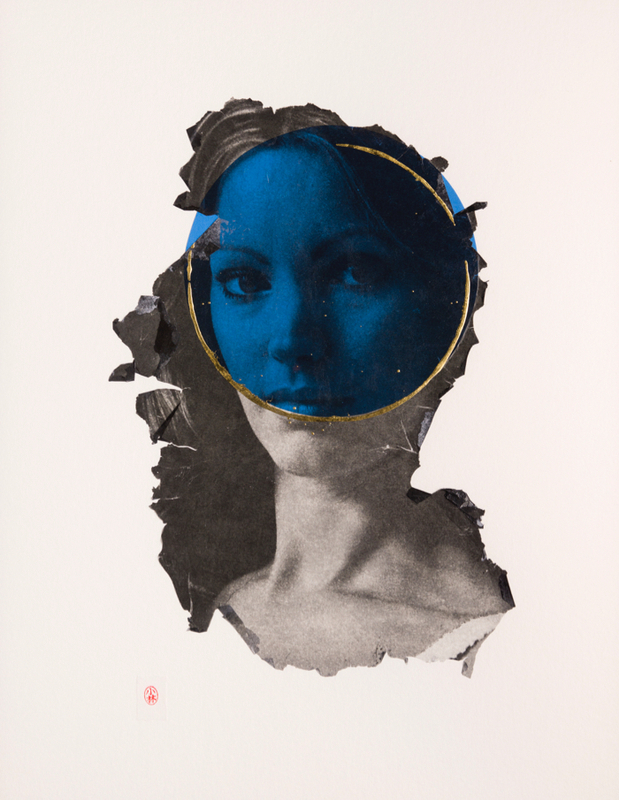 Her reworked portraits of women reveal the complexities of female identity. 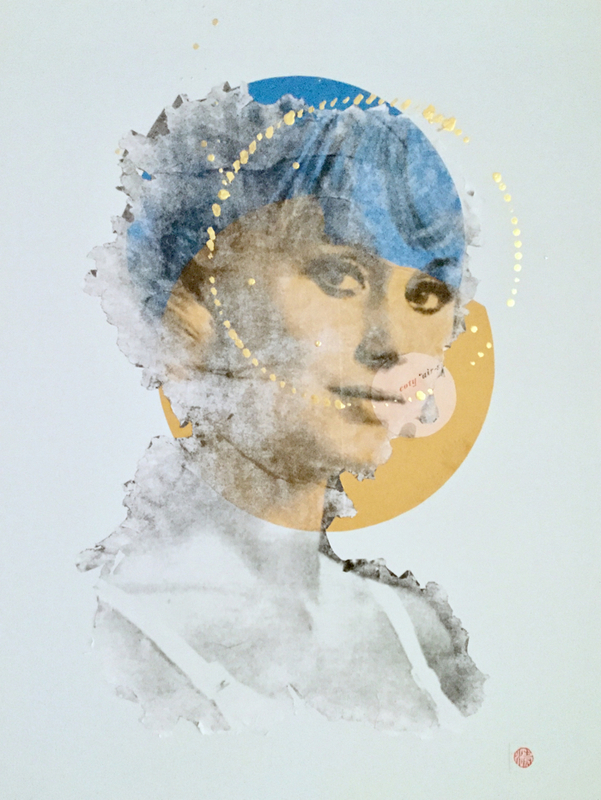 She utilizes a variety of processes including image transfer, photo collage, Zen calligraphy, and gold leafing to transform images of women originally depicted in vintage mail order catalogues and magazine clippings. King studied religion and art and received her BA from the University of Richmond and her MA from the University of Colorado. She practiced Zen calligraphy with Stephen Addiss (The Art of Zen). Her art has been exhibited in museums, galleries, and art centres nationwide. King currently works as an artist, art educator, and professor of religious studies.